Okay, back to Good Choice. Essentially, the place is as small as it looks from the outside. So much so, some of their larger tables near the window are placed flush against it. Hence, some seats are lost and everything is a bit tight. No matter though, I wedged myself in the corner between 2 windows and got amazing light for my photos! 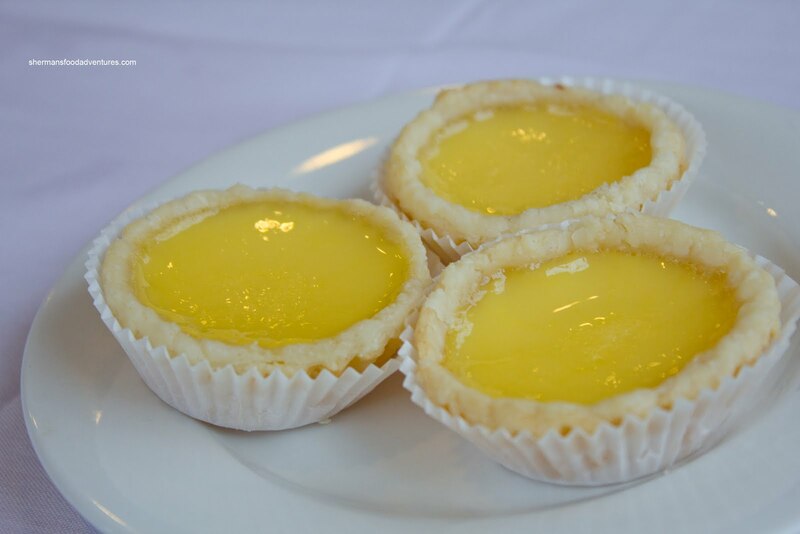 Naturally, we started with dessert in the Egg Tarts. 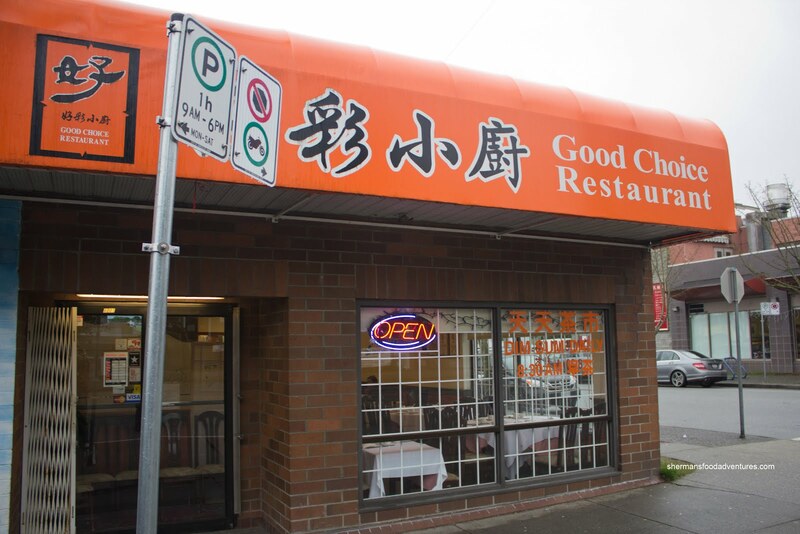 Yes, food expedition in a Chinese restaurant never makes sense, but I'll cut them some slack here because they are a small operation. Besides, the egg tarts had apparently just come out of the oven. These could've been baked for a minute longer just for some extra colour. The tart shell was still flaky and very buttery (or lardy...). I liked the filling as it was perfect in consistency and not too sweet. 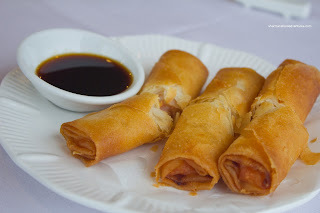 Next up were the Shrimp Spring Rolls which was also pretty good. They were very crunchy and not overly greasy. Crammed inside was plenty of crunchy shrimp pieces which were properly seasoned. With a massive amount of shrimp mousse on top, the Stuffed Eggplant looked impressive as it arrived. It turns out that it was as good as it looked. 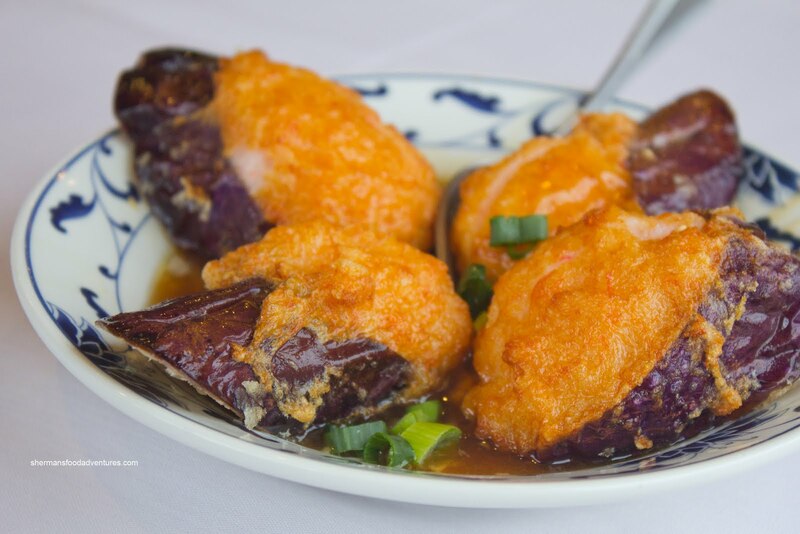 The eggplant was perfect as it was cooked all the way through while still maintaining some form of texture. The fact it was cut thick helped in this regard. The large amount of shrimp mousse on top had the desired bounce texture as well as having a good balance of natural flavour and seasoning. The only weak part of the dish was the black bean sauce which was not really all that flavourful. 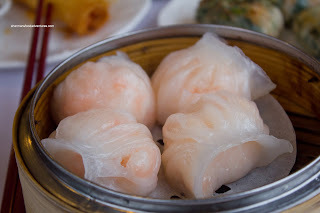 Equally impressive was the Haw Gow (shrimp dumplings) which were plump and large. 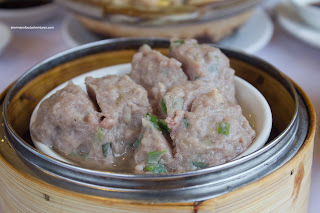 Although the dumpling skin was a touch chewy, it was as good as I've had lately. Inside was a shrimp filling which would give the more well-known Chinese restaurants a run-for-their-money. With barely any discernible filler, the whole crunchy shrimp were a touch loose. But that didn't detract from the texture and sweetness. I had to do a double-take as to where I was eating. The Sui Mai (pork and shrimp dumpling) were good as well, yet I got quite a few large chunks of pork fat that wasn't all that appealing. 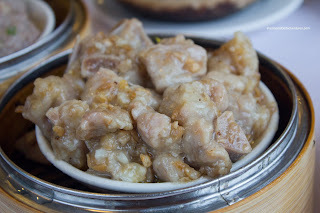 Despite this, the actual pieces of pork were nicely tenderized to the point they were easy to chew while still maintaining a bite. I also liked the modest amount of seasoning here which allowed the flavour of the shrimp, pork and shiitake to be noticed. 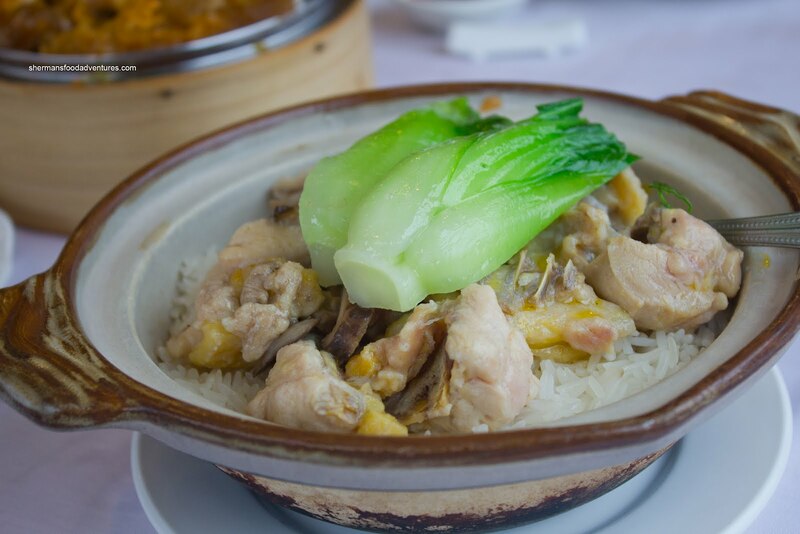 The last time we had Free-Range Chicken on Rice, it was at Empire and it sucked. Really it did. The rice became all greasy because they stir-fried it first and then placed it on top of the rice. Not here. The rice was chewy and not greasy. The chicken was nicely seasoned and predictably a touch chewy since it was of the free-range variety. This was a perfect example of a dish compared head-to-head with one of the big boys and came out ahead for significantly less money. Not onto a less successful dish. The Beef Meatballs were tenderized far too aggressively, hence they were lacking in texture. Normally, there would be some form of resistance or bounce when bitten into. Not in this case. It was bordering on mushy. Too bad really, it did taste good though with a nice ratio of meat to green onion. When the Steamed Spareribs arrived, it looked as if they tried to break some kind of record as to how many rib pieces they could stuff onto a sauce plate. I mean, there was barely any more room for even one more piece! Moreover, most of the meat was attached to a rib, not cartilage nor fat. As you can clearly see, this was mostly flavoured with garlic and it was reflected in every bite. In terms of texture, it was a touch chewy and could've used some more tenderizing. 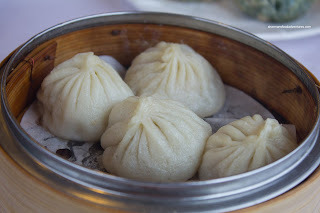 Okay, once again, we had the Xiao Long Bao, which we did not hold out much hope for. You see, XLBs are a Shanghainese specialty. The problem was, we were having Cantonese Dim Sum. Hence, the dumpling skin was thick while there was only a modest amount of soup inside. With that being said, the filling was not too bad with nice hits of ginger and green onion. For some odd reason, I didn't pay attention to what was ordered and we ended up with 2 plates of offal. Hey, no matter, I love offal! The first one was the Brisket, Tongue, Tripe and Daikon Hot Pot. 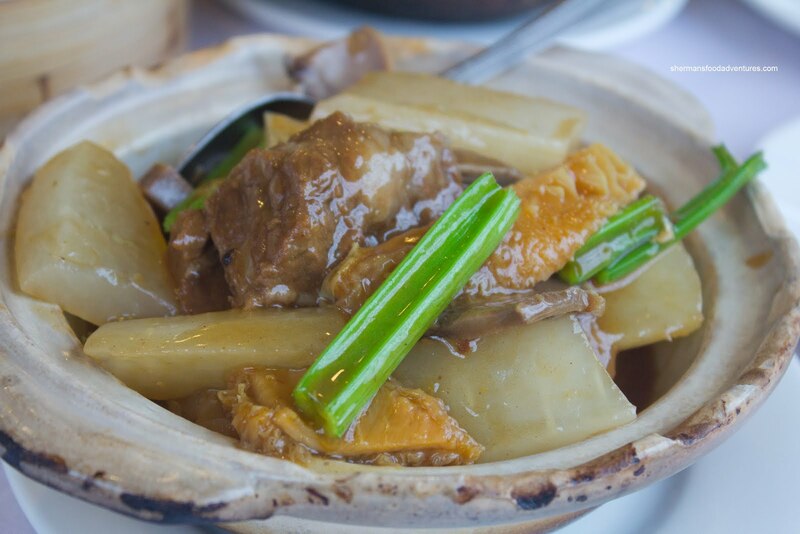 Despite the hot pot, this dish was prepared from separate ingredients, sauced and served in a hot pot. Hence, some of the items were not as tender as we would've liked. I thought the brisket and tripe were sufficiently tender while the tongue definitely could've benefited from more stewing. Furthermore, since it was not stewed as a dish, there was a lack of depth as well. On the other hand, the Steamed Tripe and Tendons had lots of depth with hits of curry and sweetness. And unlike the previous hot pot, all of the components were tender. Actually probably a bit too tender where the tendon was close to melting. 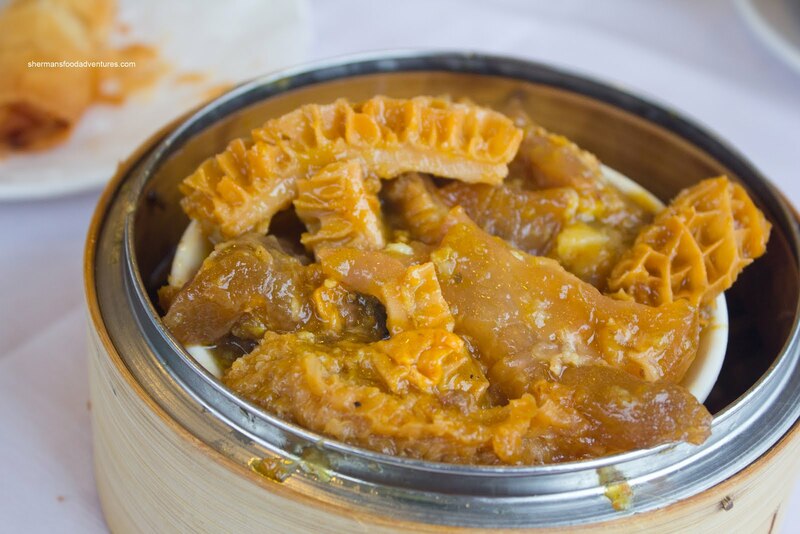 The tripe was okay though - easy to chew without being too soft. In the end, the good dishes outweighed the few not-so-good ones. 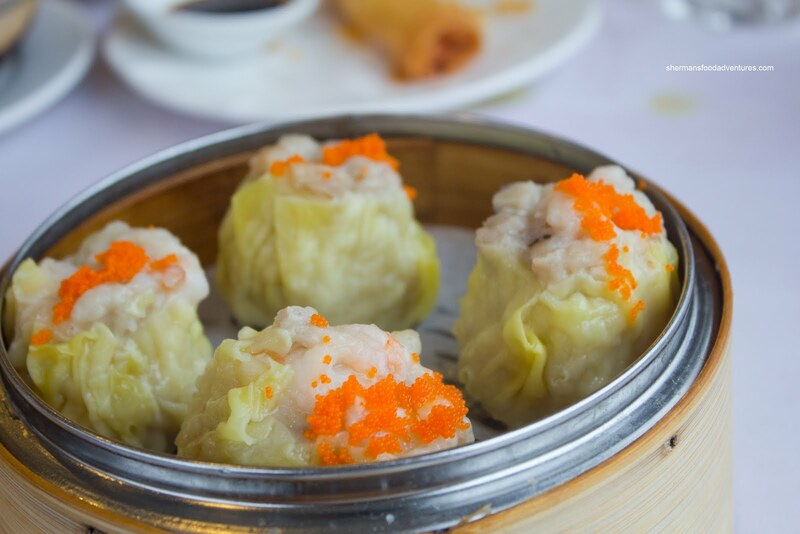 Considering the prices, portion size and overall execution, the Dim Sum service was thoroughly impressive especially for such a small restaurant. Although the service was sparse when the place began to fill up, it was friendly and efficient. I realize that this small venue isn't for everyone, but if one was looking for good Dim Sum that will not break the bank nor disappoint, then it really is a Good Choice to eat here. 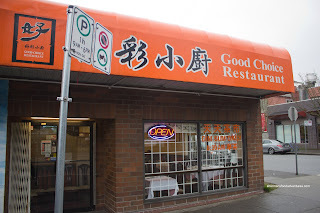 You probably already know that their Chinese name means "good luck", but colloquially it could also mean "thank goodness" (as in averting from disaster), LOL.